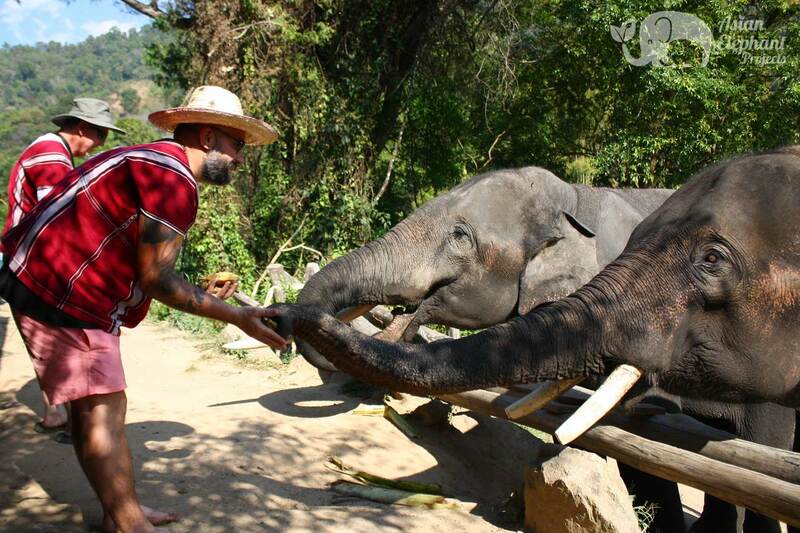 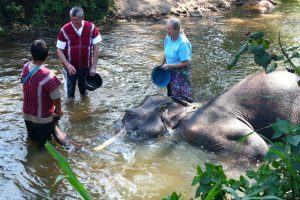 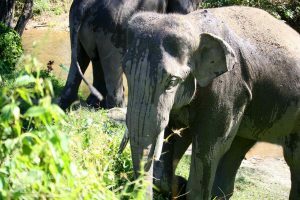 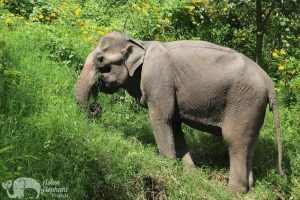 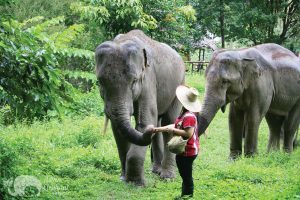 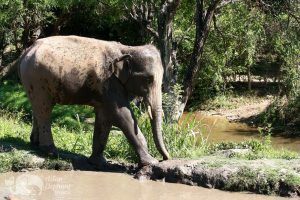 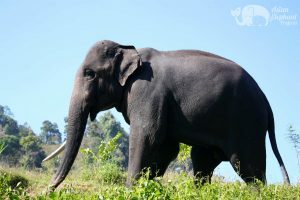 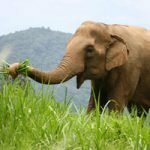 This elephant sanctuary near Chiang Mai offers the special experience of spending time with two friendly elephants brothers – Dodo and Khum Meun. 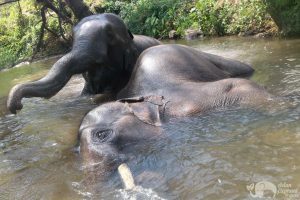 Rescued from elephant riding and performing, they now live a good life together in nature near a century-old Karen settlement. The goodhearted Karen family operating the project has been living with and caring for elephants for three generations and their intimate knowledge of elephants and their ways provides visitors with a unique insight into the nature of this fascinating species. Dodo and Khum Meun’s mother, Mae Thor Khor, used to live with them at the sanctuary, but passed away from natural causes in her 70’s last year. 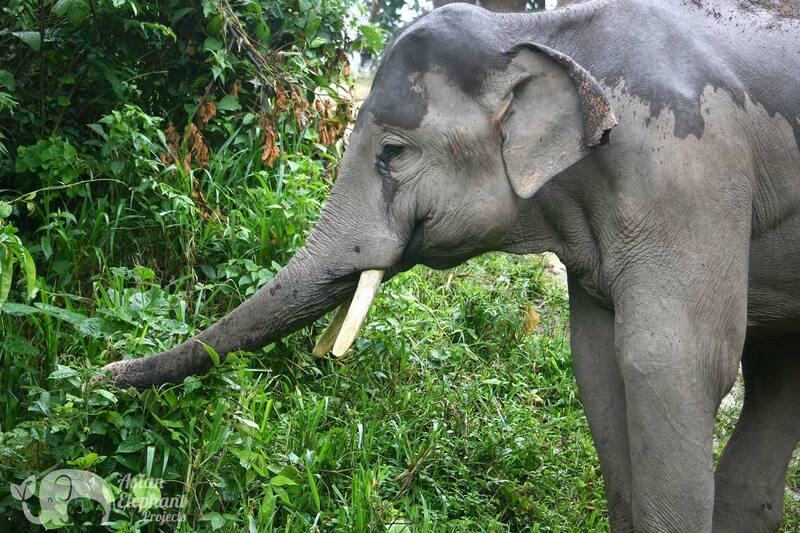 Khum Meaun has adjusted to the loss of his mother more quickly, being older, while Dodo still seems to feel the loss. 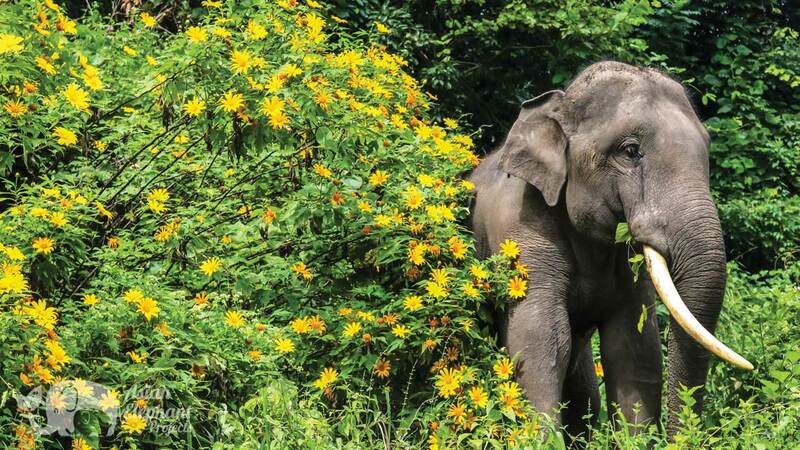 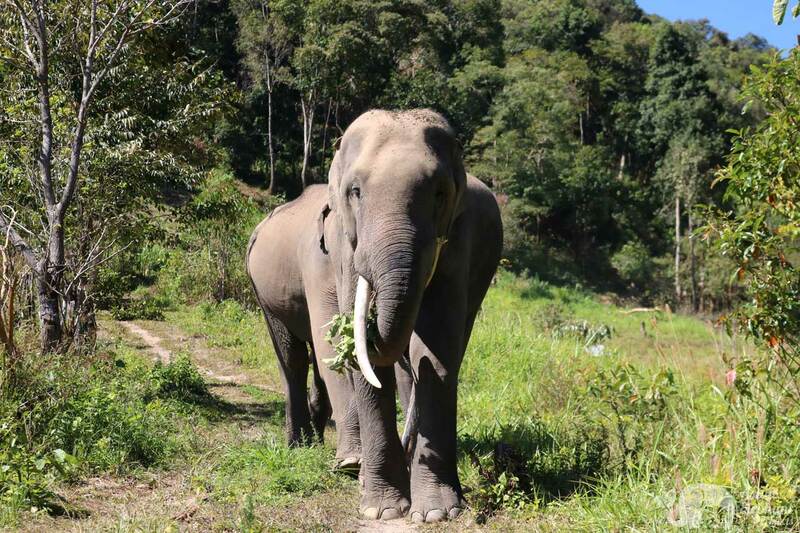 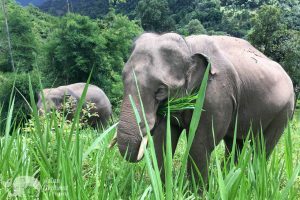 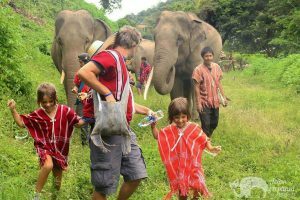 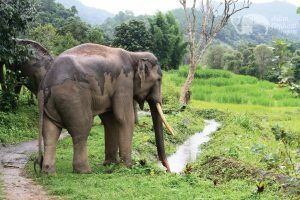 Arriving at the project, guests will feed the elephants bananas and then take a walk with them along scenic hillside trails that pass terraced rice paddies and weave through tall grasses, orchards, and forest – stopping to watch the elephants forage along the way. 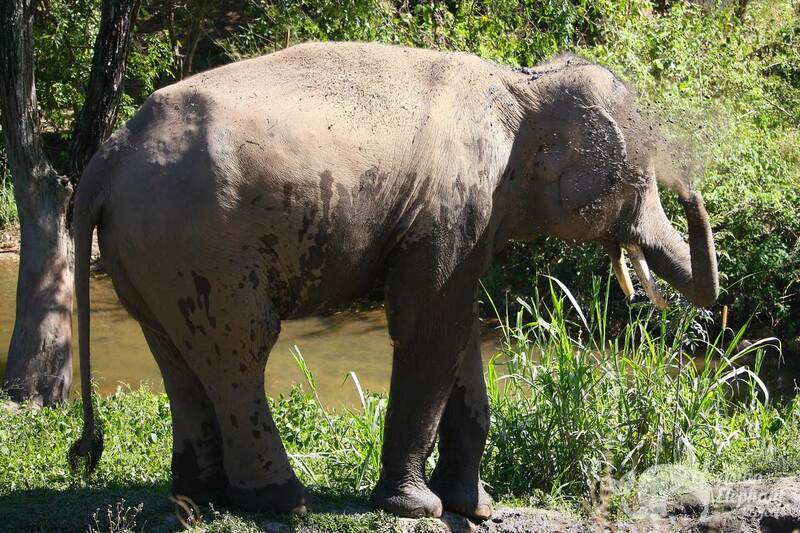 Guest can observe the elephants playing in the mud and later bathe them in the beautiful stream that winds through the sanctuary. In the rainy season, guests also plant saplings to help reforest the area. 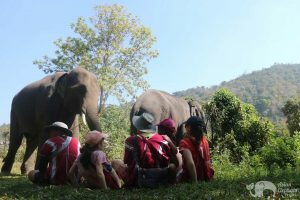 The family here is environmentally aware, and recently initiated a ‘green’ project in the village where children are taught about the need to use less plastic and keep their village clean. Every Sunday, kids from the village help pick up garbage, and sort it for recycling. 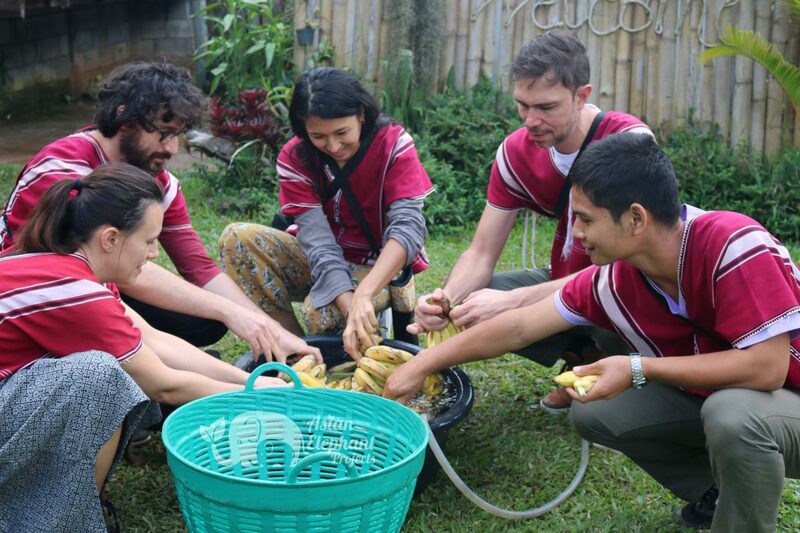 The money that the project receives from recycling the garbage is shared with the kids from the village. 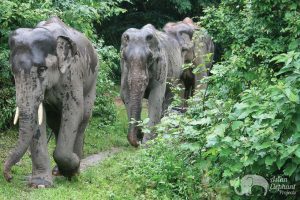 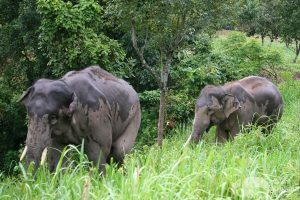 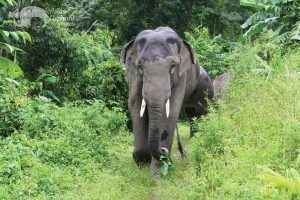 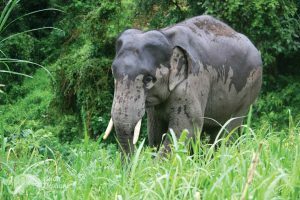 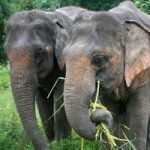 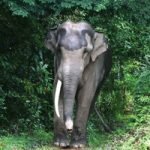 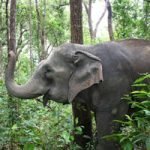 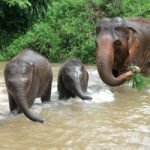 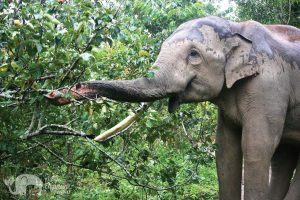 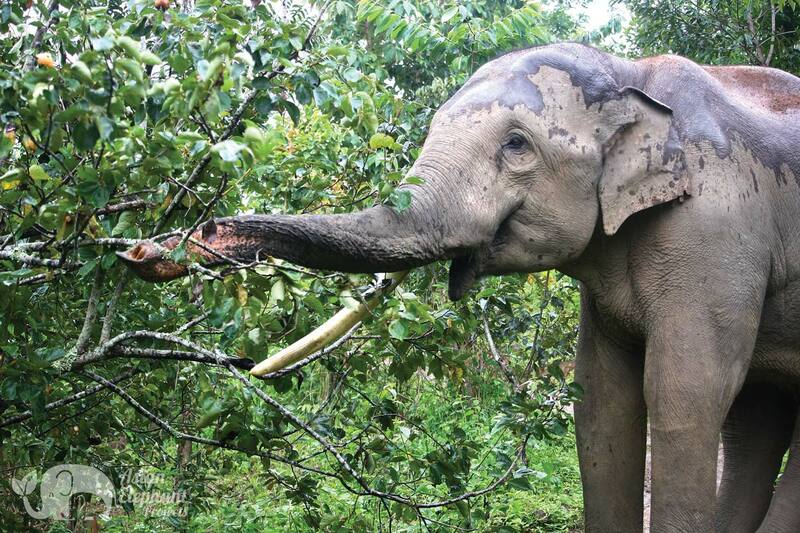 By visiting this project you are making it possible for these magnificent elephants to live a more natural life, as well as helping to support the local Karen community. 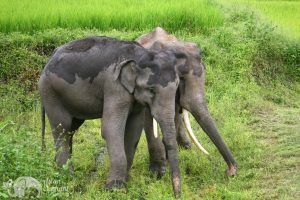 Travel Time: Around 1 hour & 45 minutes (educational video about Asian elephants / safety video en route to project). Fitness Level: Moderate – walking through grassy fields and hilly terrain for about 1.5 hours. 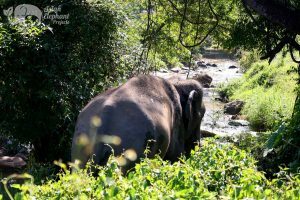 Topography: Hills, forest & river. Extra Activities: Visit a traditional Karen house showcasing artifacts from Karen culture and watch Karen woman weaving handmade textiles. 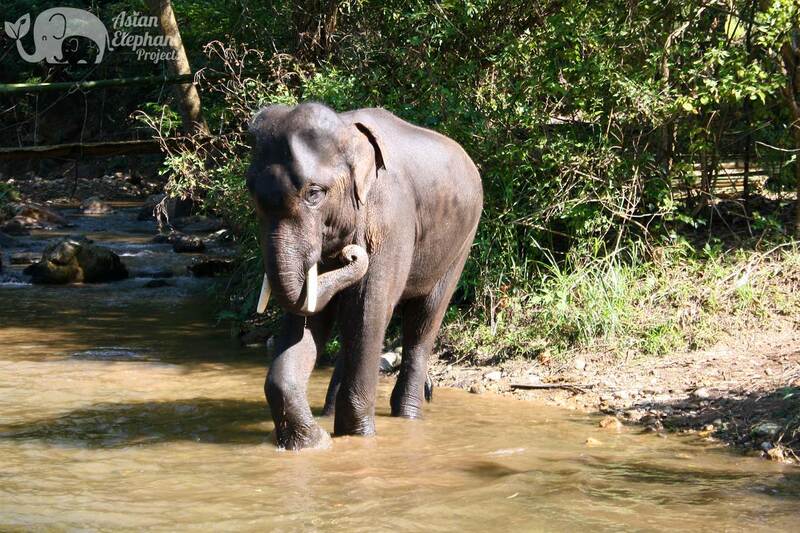 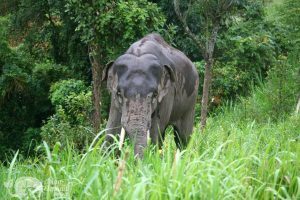 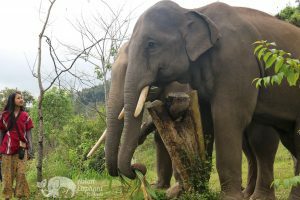 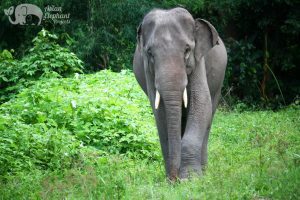 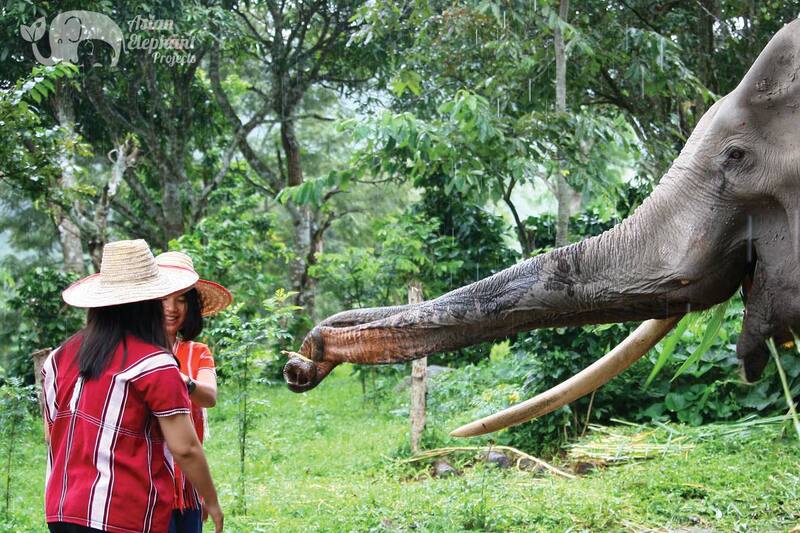 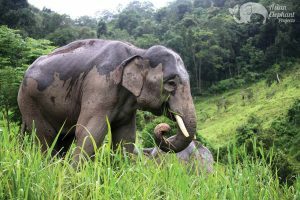 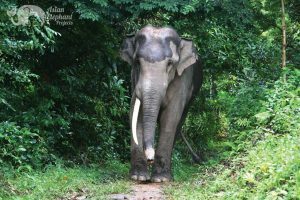 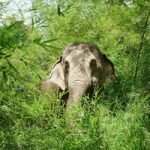 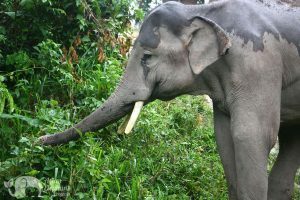 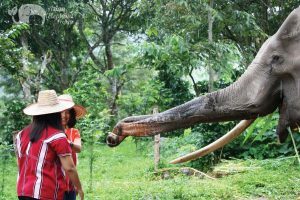 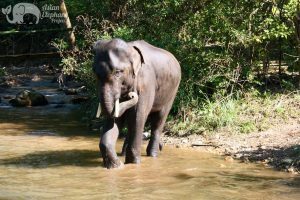 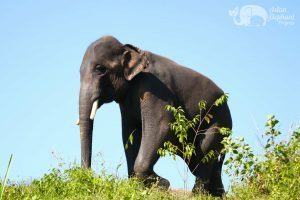 The owner of this project, Kriengkrai Dinu, previously worked at the Elephant Conservation Centre in Lampang where he received further educational qualifications for working with elephants. When he heard about the ‘Saddle Off’ model he seized the opportunity to bring his elephants home where they could be retired from elephant riding and be properly cared for by his family who has worked with elephants for three generations. 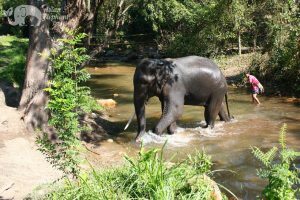 The project opened in late August 2017, and is located in a century-old Karen settlement surrounded by jungle with a beautiful stream running through it. 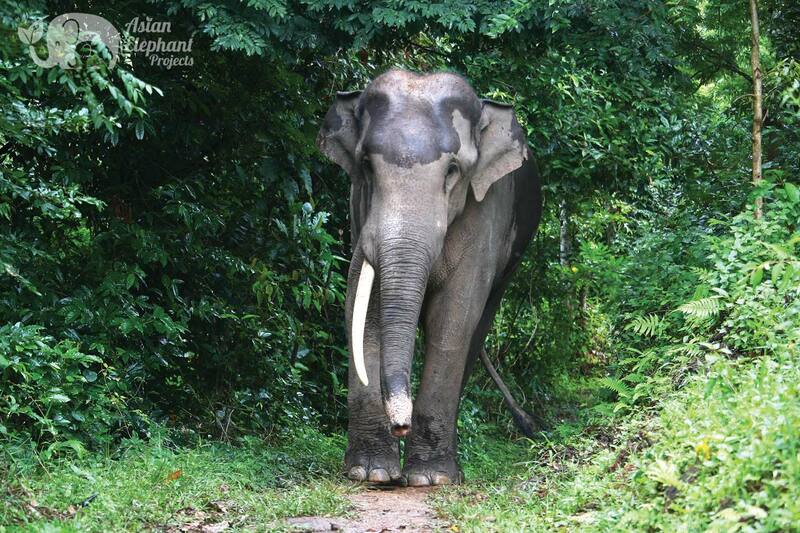 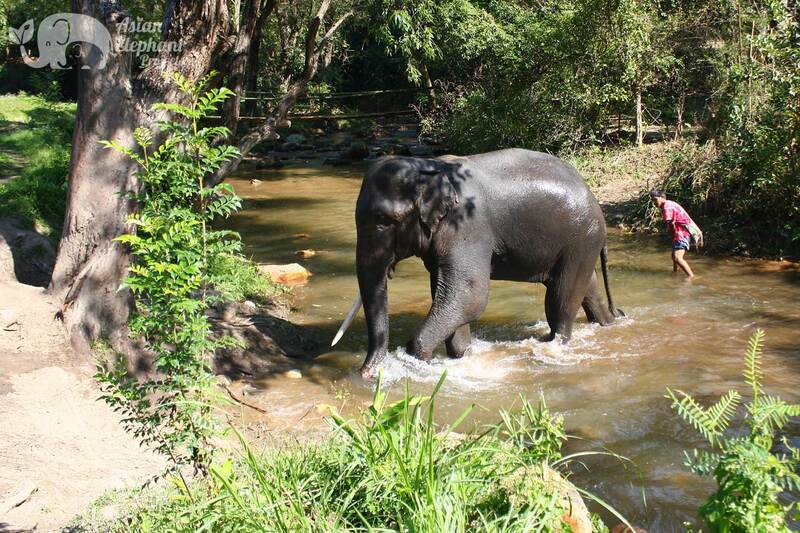 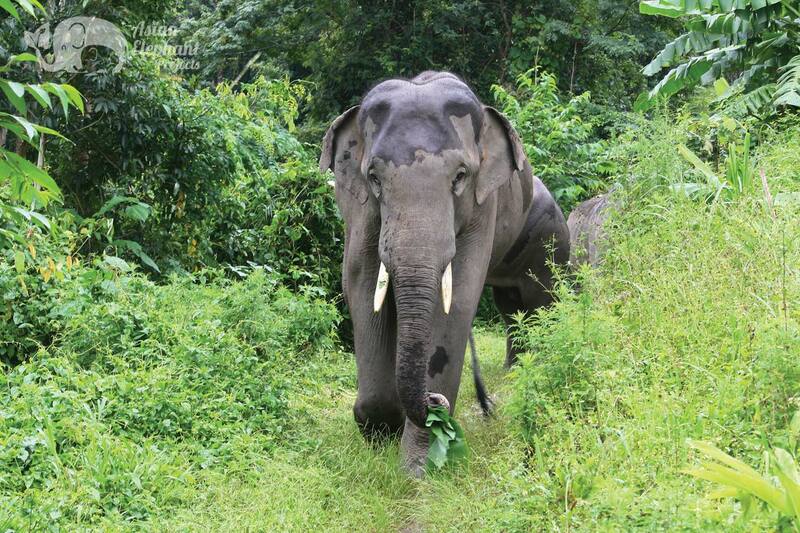 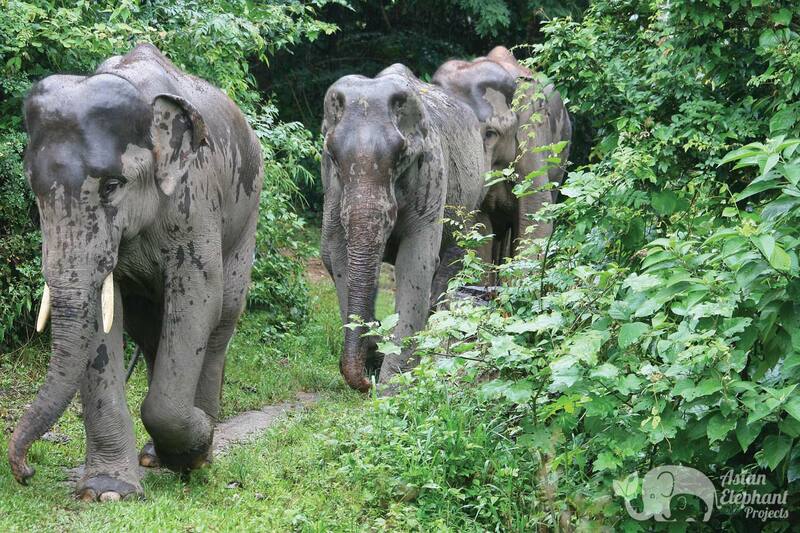 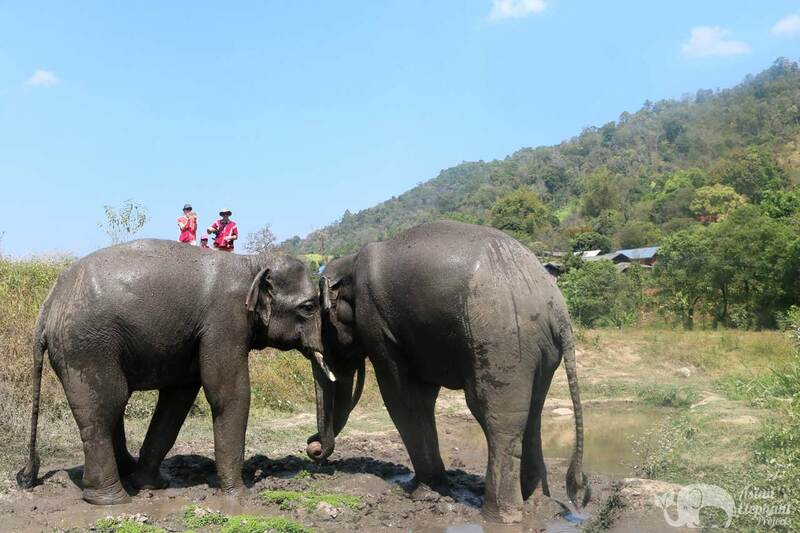 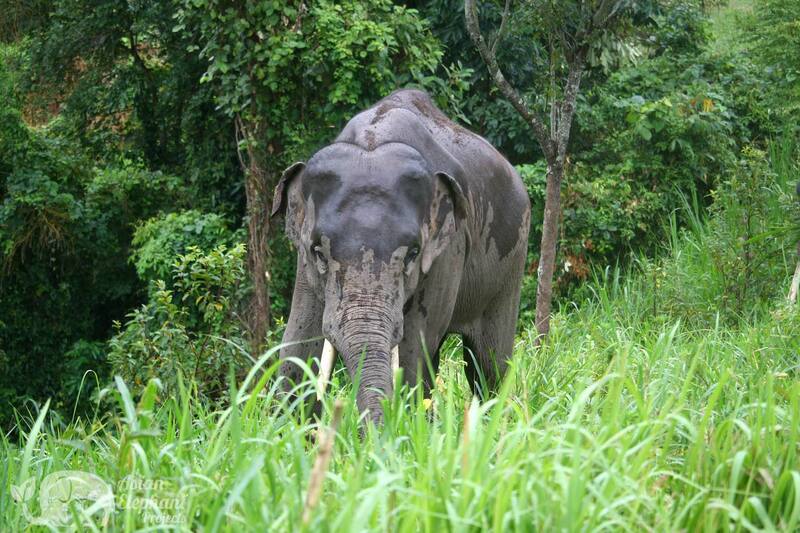 It is home to two male elephants who are brothers, Dodo & Khum Meun, who used to work in elephant riding. 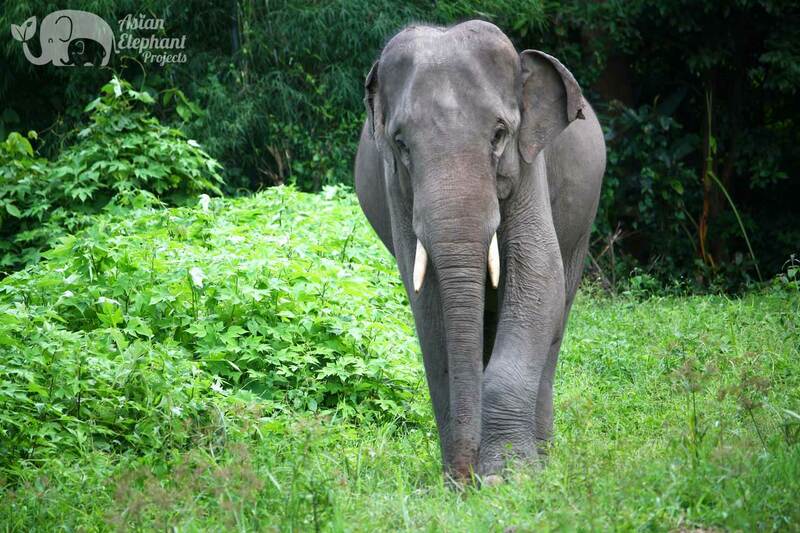 Recently, chain free shelters were built for the elephants to sleep more comfortably at night. 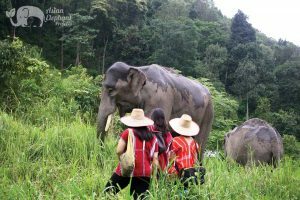 The family wants to help preserve Karen culture and has created a small museum to give visitors a glimpse of the traditional Karen way of life. 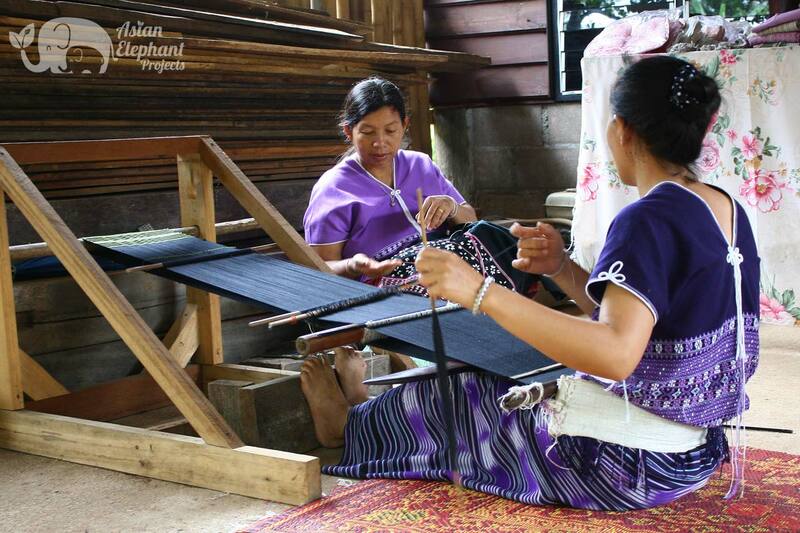 The project also supports local weavers who have their handmade textiles on display, which are available for purchase.